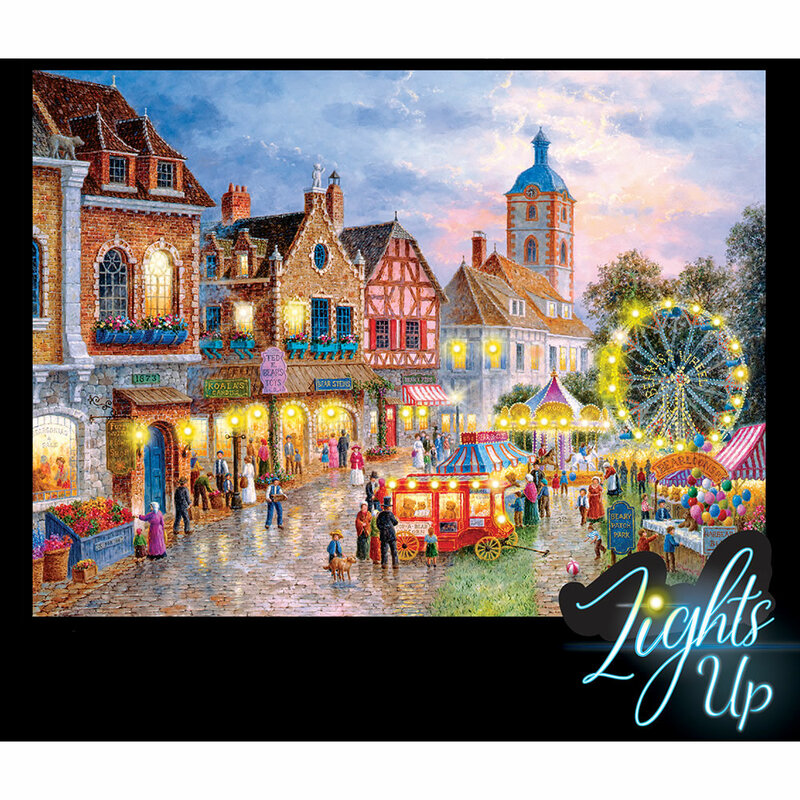 This is the 500-piece jigsaw puzzle that illuminates with 20 LEDs. When assembled it forms an image of the Dennis Lewan painting “Beary Patch Park”, the second in the artist’s “City of Bears” series. It displays a local festival in a town owned and operated by bears, featuring whimsical business names such as “Fuzzy Wuzzy’s Flower Shop”, “Ted E. Bear Toys”, and a “Bear-B-Cue” stand. The puzzle’s built-in lights are positioned along the “Beariss” Wheel, “Bearousel”, and popcorn stand. Requires three AA batteries. 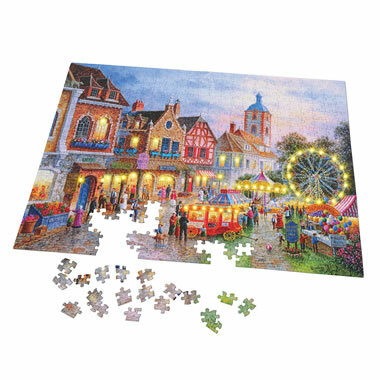 Assembled 24" L x 18" W.
The 500 Piece Illuminated Jigsaw Puzzle comes with The Hammacher Schlemmer Lifetime Guarantee. Items that we sell are guaranteed for their normal life under standard non-commercial use.